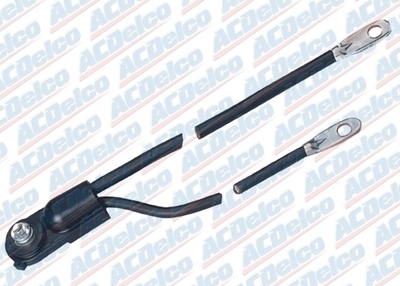 ACDelco Professional Battery Cables are a high quality replacement component for many vehicles on the road today. The cable core is made up of multiple strands of 99% pure copper alloy for maximum flexibility and conductivity. ACDelco Professional Battery Cables are highly conductive and their durable outside insulation helps resist harsh under hood environments. These premium aftermarket replacement battery cables are manufactured to meet or exceed your expectations for fit, form, and function. I was planning on ordering a race suit, had lot of questions. The support staff were extremely knowledgeable, courteous and had answers for all my questions. Placed the order online and product shipped the next day. Very happy with the customer service and the whole shopping process in general. You guys ROCK! Great prices and low shipping costs. The application will work but I have to modify it slightly as the bolt circle in a little undersized for my application.